Did you know there are three different kinds of cacao beans? Forastero, the most common cacao bean, representing 90 percent of the world’s production; Criollo, a premium, ancient variety of cacao only grown in South and Central America; and Trinitario, a cross breed between strains of the two aforementioned beans. Although these varieties have been researched and established on the internet, the specific flavor of a cacao bean — which depends on climate, altitude, location and post-harvest process — has not. CRS has been working with cacao production cooperatives in Central America for nine years to reduce poverty and generate employment within the local chocolate market. However, it has not been until this year that research on different flavors has started. A map to represent the different, unique flavors will be a huge asset to specialty chocolate buyers and, in turn, generate more profitability for local cacao farmers. How Do You Map a Flavor? Steps taken to produce the map include identification, experimentation, modification, sampling and reports. The humanitarian agencies have gone plot-to-plot to study the quality of beans after the cacao is harvested and investigated the processes that take place to ensure quality: harvest, fermentation and drying. Depending upon a farmer’s location and infrastructural capacity, fermentation may be limited or length of drying may be differ, affecting the quality of the beans. Due to a lack of infrastructural capacity for proper fermentation, a majority of farmers send their cacao beans to central cooperatives to be fermented and dried in the buyer's desired manner. A large obstacle to the cacao market in Central America is the lack of diversification of post-harvest methods because most processors have the same post-harvest methods and rarely explore new processes. By knowing the different flavors of cacao, diversification of post processing becomes easier. As with wine, whiskey and many other commodities, CRS set out to map the different flavors of cacao with the goal to improve farmer incomes. Field workers studied the different practices for cacao beans and collected samples to be classified according to flavor. CRS has been coordinating the collection of these samples and their transportation to international laboratories. At the labs, samples are categorized according to their attributes such as color and then experimented with using different lengths, or types, of fermentation and drying techniques. After the cacao bean has reached a flavorful triumph, it is chemically classified according to taste, smell and color. Acidity, bitterness, sweet, nutty, floral and woody are some examples of words used to describe the cacao. One such sampling in the COOPROCAFUC alliance in Nicaragua (see Figure 1) was labelled a cacao of excellence, described as a “bomb” of flavors, including intense chocolate, fruits of the forest, raisins, clove pepper, nutmeg and wood. Talk about an effective marketing technique! 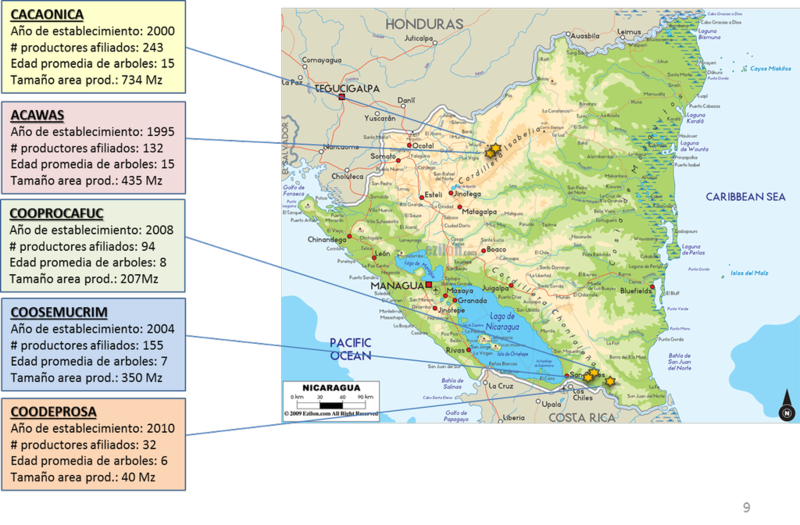 Figure 1: A map of the five cacao alliances in Nicaragua included in samplings. (Año de establecimiento means year established; # productores afiliados means number of affiliated producers; Edad promedia de árboles means average age of trees; Tamaño area prod. means product area size). Using ArcGIS, a tool for collecting and visualizing location-based data, the maps can reveal all the cacao plots in each country. This interactive tool allows users to differentiate layers in the map to better understand the Central American cacao industry and the level of poverty in the surrounding areas. Once experimentation is complete and descriptions are established for each location, this GIS tool will be combined with the new flavor profiles. This flavor map will ease the curious mind for anyone who wants to know how different cacao beans can taste and where to find them. Figure 2: Catholic Relief Services' map of cacao plots in El Salvador on ArcGIS. The colored dots symbolize the NGO supporting the cacao plot. The red shading shows the different stages of Plan El Salvador Seguro, a government initiative to develop several impoverished districts throughout the country. Figure 3 shows a Scotch whisky flavor map, used as a precursor for inspiration of the cacao map. Consumers are easily able to see the difference in flavors for whisky brands. Although this image does not use GPS to further classify types of cacao, this flavor map provides a simple marketing scheme to boost consumer interest. Consumers will be more interested in buying something with such visual descriptions. 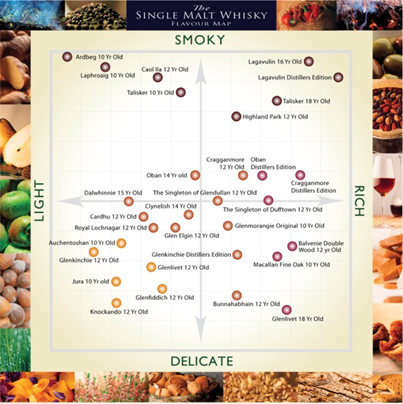 Figure 3: A flavor map of single malt Scottish whiskey used as inspiration for the cacao flavor map. This new map and geographic information system will be presented at the Salon de Chocolat in Paris later this October. At the Salon de Chocolat, winners will be announced for the 2017 International Cacao Awards. So far, two participants of this project have been nominated for the award: Brenda Manzanares and Eduardo Zapaca, cacao farmers from Nicaragua and El Salvador. We hope these chocolatiers find themselves in a similar situation as Napa Valley vintners in the late 1970s. In 1976 the Paris Tasting took place, including a blind, comparative test that pitted popular wines of France against the less-popular Napa Valley wines. As the Chateau Montelena Chardonnay and Stag’s Leap Cabernet Sauvignon, both California wines, won preference over wines of Bordeaux and Burgundy, Napa Valley was changed for the better. As many can agree, Napa Valley is often a popular household name when it comes to wine. Hopefully Central American cacao can follow suit, and revive the value once held by the original cacao bean. Until the cacao map is released at the event in October, farmers are learning more about its agricultural market potential. Due to experimentation to determine which techniques cause different flavors, farmers have adapted to dealing with different fermentation, drying and post-harvest protocols that produce the best cacao attributes at the highest market price. Once the interactive map is released, farmers may be able to offer and market certain products in a more efficient manner and adjust their methods according to their buyer. Juan Carlos Telleria Herrera, agribusiness director at CRS Nicaragua, reported the direct impact on farmers will be their improved ability to market to a particular industry. He says, “They will benefit because they can ensure niche marketing and higher pricing to a specialized market. It is possible that, as in the coffee industry, some producers have obtained special prices for their cacao lots, or at least, are able to place their product in other markets through their cooperatives.” Some cacao producers may be able to increase their prices the more they specialize their product or introduce their product into more than one market for extra income. Similar to coffee producers, some plots may be evaluated as a highly desirable and specialized flavor. After the maps are released online, all farmers will need is to match their flavor offerings with prospective chocolate companies and according to Telleria Herrera, “subsequent consultants will identify buyers according to their interests after the mapping.” Only good is expected to come out of this tasty cacao mapping project. As this marketing scheme and diverse techniques become more available to farmers, so will more and more specialty chocolate buyers. As profits increase and curiosities peak, cacao production in Central America will hopefully redeem its significant role in the global chocolate industry. Madison Lawson is an ICT4D training and communications assistant for Catholic Relief Services. Contact: madison.lawson@crs.org.